Oral appliance therapy is an effective, non-invasive treatment option for snoring and obstructive sleep apnea that fits easily into your lifestyle. 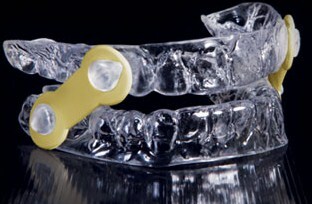 A dental oral appliance looks like a sports mouth guard and is worn only during sleep. 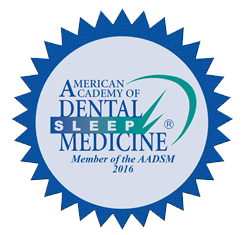 Once you have been diagnosed with obstructive sleep apnea by a sleep physician, a dentist experienced in dental sleep medicine can make a custom-fitted oral appliance using impressions and models of your teeth. Oral appliance therapy is covered by many medical insurance plans. Custom-fit oral appliances from Grand Oaks Dental can improve your sleep, restore your alertness and revitalize your health. If you have concerns about snoring and sleep apnea, it may be time to Request an Appointment. If you suspect you may have sleep apnea, Grand Oaks Dental can recommend a sleep physician to help get you started on your path to treatment. If you have already been diagnosed with sleep apnea, we can fit you with an oral appliance. Our team at Grand Oaks Dental is ready to answer your questions about obstructive sleep apnea, dental sleep medicine and oral appliance therapy.